A. laxiflora was first described from a site near Paris by Lamarck as long ago as 1778. Its name refers to the lax appearance of the inflorescence, though this feature can be somewhat variable between populations. 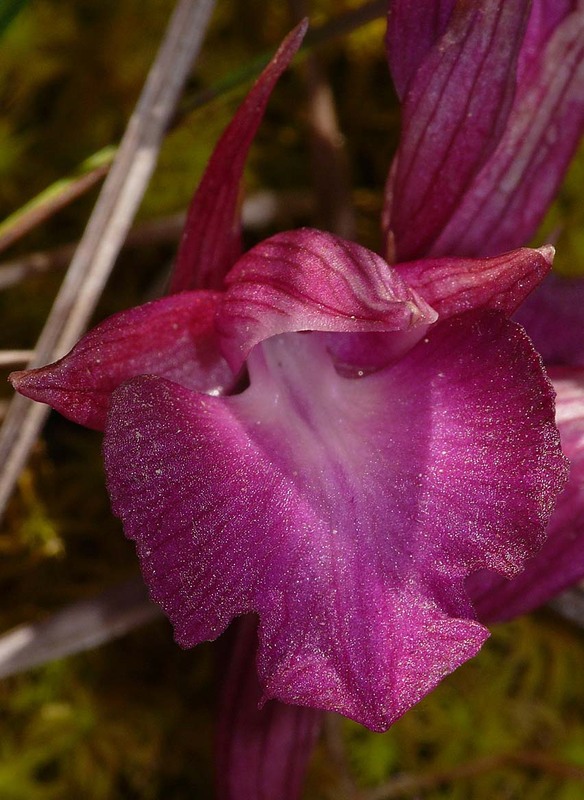 S. bergonii on the other hand has only been recognized as a full species since 1908 when Camus described it from the island of Corfu, Greece and named it after P. Bergon, a late 19th century French botanist. This species is polymorphic and the considerable variation between populations frequently causes difficulties with identification. 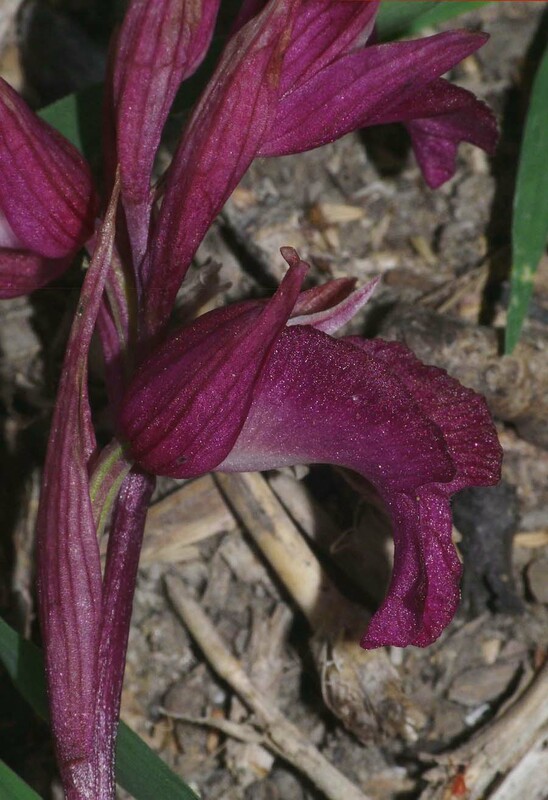 Differentiation between this species and S. vomeracea is often particularly troublesome and many botanists consider S. bergonii as being within its normal variation parameters. 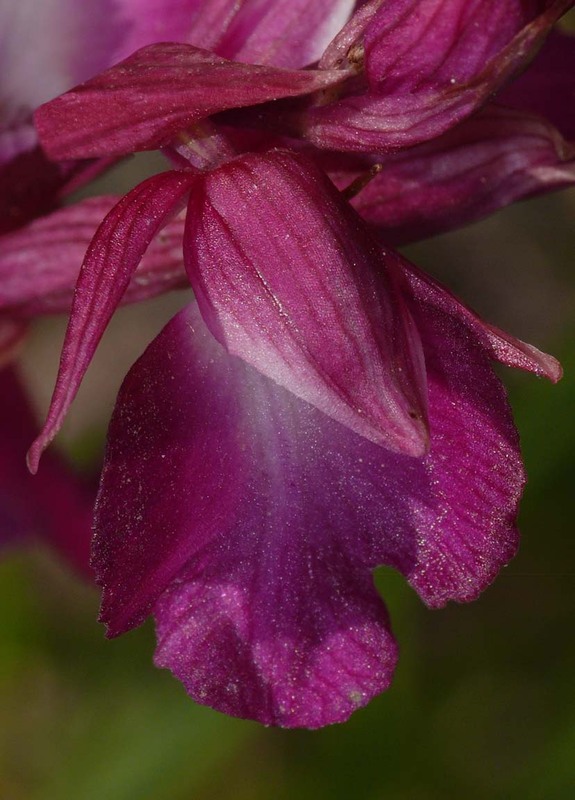 Although hybridization is a relatively commonplace phenomenon within both the Anacamptis and Serapias genus, these pictures depict an example of a much rarer occurrence, an intergeneric hybridization IE :- the pollination, seed production and subsequent growth of a plant containing genetic material from the members of two different orchid genera. 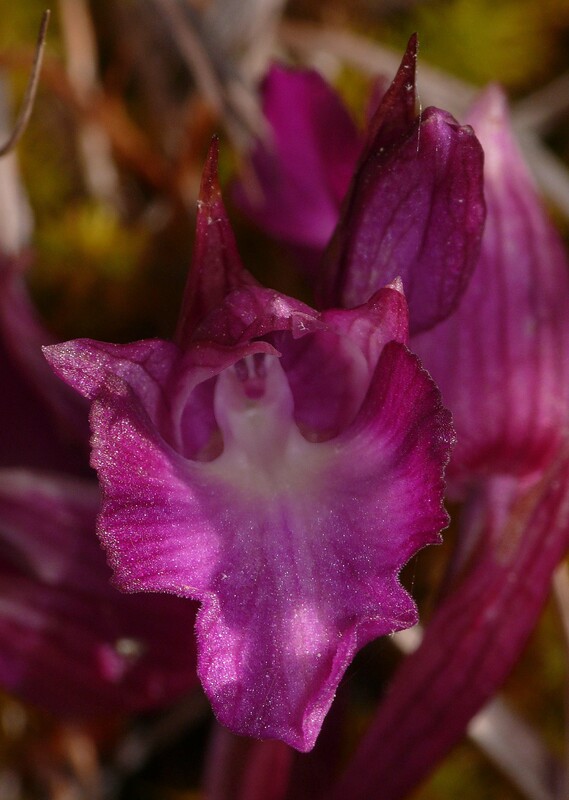 In this case the parent species are Anacamptis laxiflora and Serapias bergonii which have combined to create the fascinating flower depicted in the illustrations. 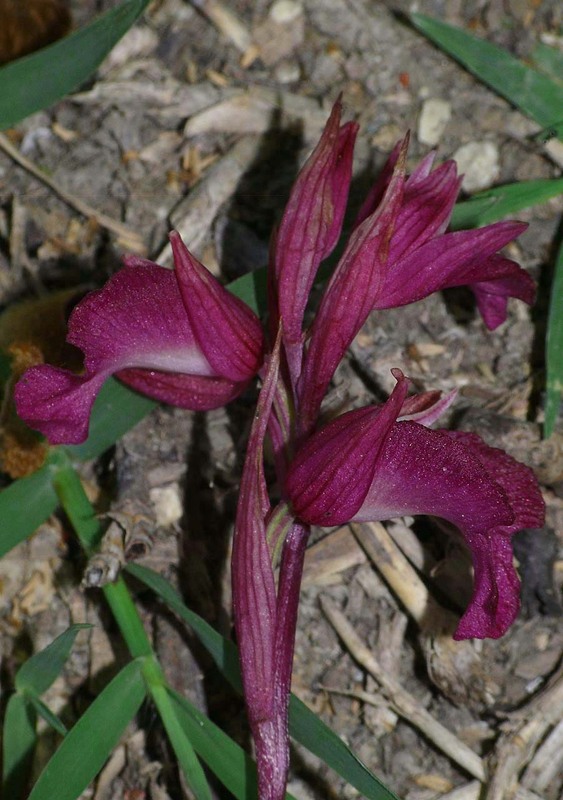 As can be seen, characteristics of both species can be easily recognized and particularly the overall colour which is very much inherited from A. laxiflora. 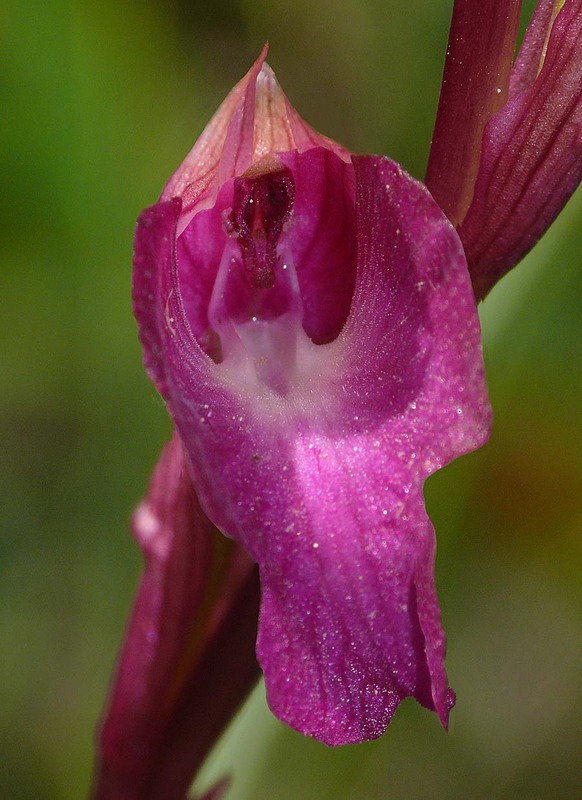 It will be noted from pictures 3 and 6 that the flower starts life with Serapias like, tubular lateral lobes resembling a hypochile and a central labellum that vaguely suggests an epichile. The lip does however open out with age. This plant was found in the Epirus region of northern Greece and unfortunately before it could be photographed as an entire plant, it was broken in half by a flock of grazing goats. This is the reason for the prone position of the upper section of the plant in photos 3 and 6.